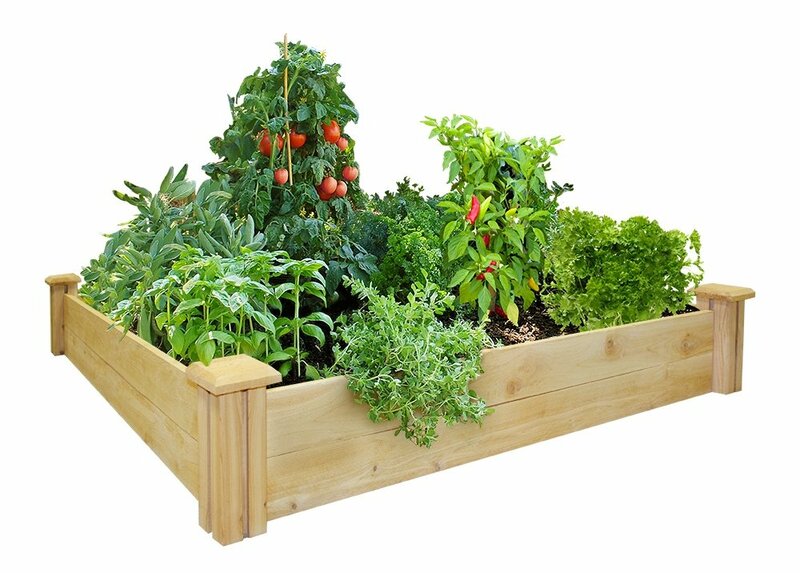 We used an outdoor wooden raised garden bed kit when we were strapped for space in our backyard. We built up several actually. They are a lot easier to tend to flowers and veggies when you are not stooping all the way down to ground level. So they are great for anyone with a bad back. Technically speaking, the units with legs are probably best referred to as Planters. The raised beds used atop soil have the benefit of inducing root growth and improving nutrient support. 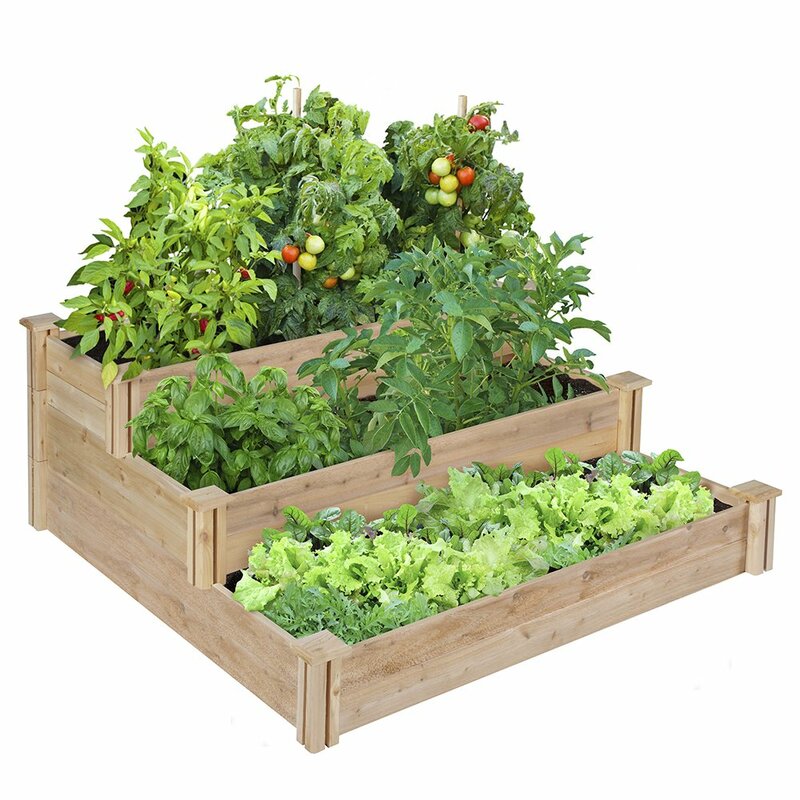 There are several advantages to using these garden boxes. You can locate them almost anywhere. On top of an existing bed of soil or with the 'planter' type, on concrete, say. Even on top of existing grass. They provide good drainage, and as the soil is contained, it will not wash away in heavy rainfall. You are less likely to get weeds from adjacent beds. Soil compaction is minimized. On the one hand you are unlikely to walk on the beds, on the other good drainage prevents compaction from flooding. You have better control of the soil being used as you are not digging over the ground. The planting season can be extended because of warmer soil above the ground. 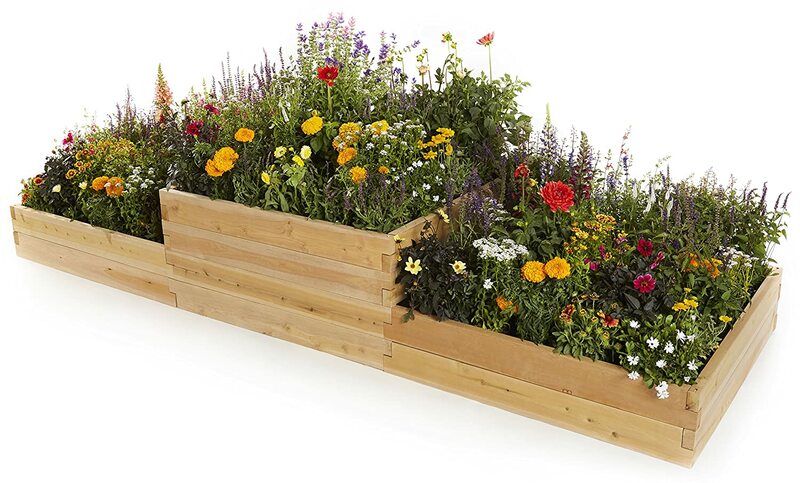 For the DIY-proficient gardener, these garden boxes would be a breeze to make. If that's not you, have a look at my selection here. I particularly like the multi-height versions! Made in USA from North American Cedar. Wood is 100% chemical-free, and rot & insect resistant. Decorative post tops need a screwdriver to fit, otherwise assembly is simply a matter of slotting the boards into the corner posts. Dimensions: 48 inches x 48 inches x 7 inches. Two units can be stacked to create a 14 inch deep bed. Needs over 9 cubic feet of soil to fill. Quick assembly - minimal tools required. Great for gardeners who do not wish to stoop. 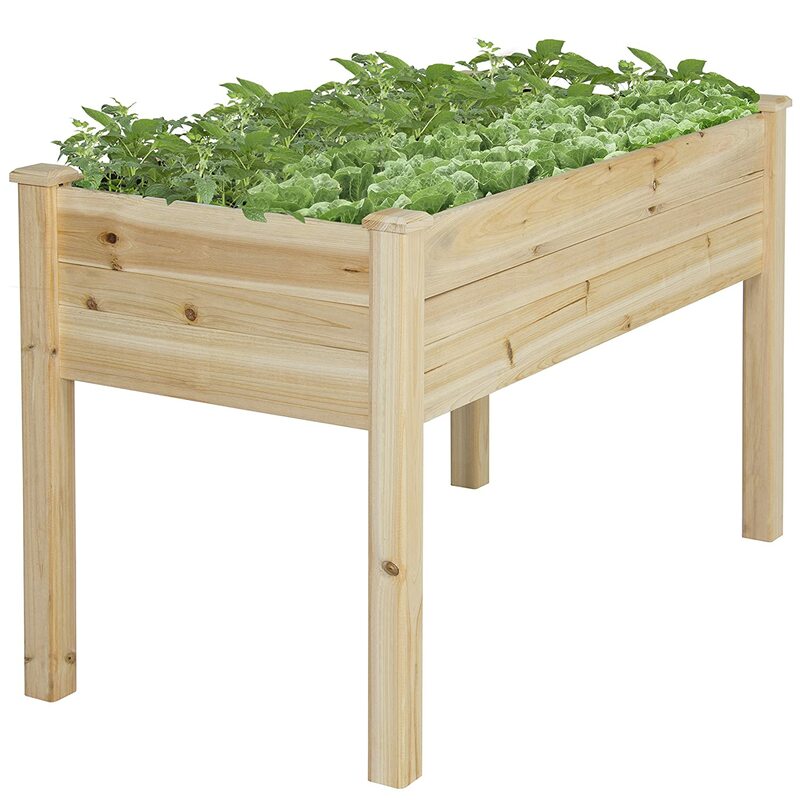 Dimensions: Length 48.5” x Width 22.5” x Height 30"
3-tiered wooden raised bed kit - easy assembly. Dimensions: Length 4 ft x Width 4 ft x Height 7", 14" and 21"
Easy assembly - No special tools required. Wood needs to be finished to your own requirements. Durable - Made with Western Hemlock. 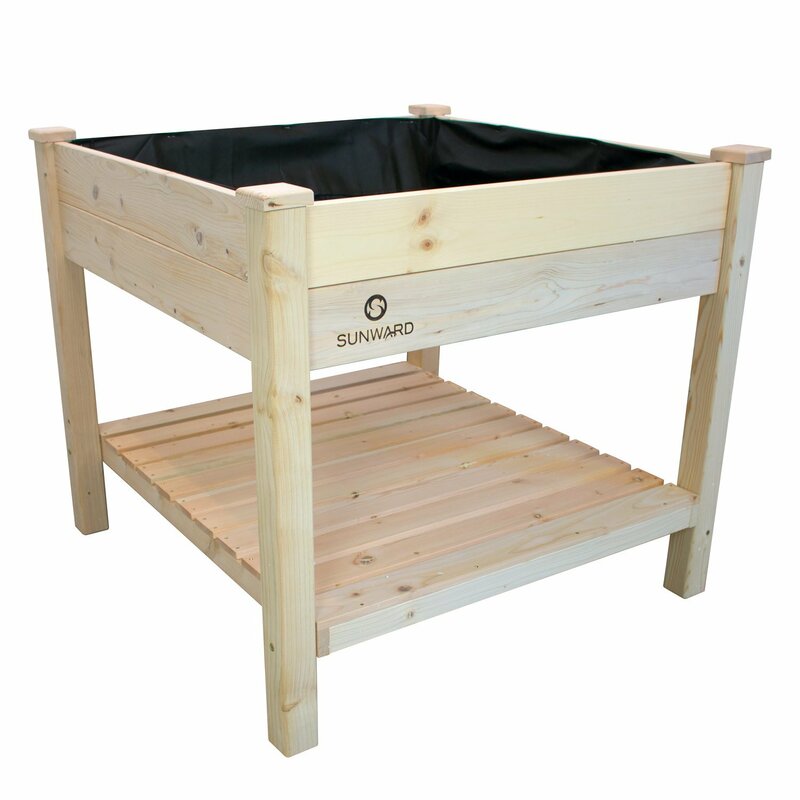 Dimensions: 36"L x 36" W x 32" H.
Also available in a larger size - 48" L x 34" W x 32" H.
Undershelf is useful for storing accessories or more plants. Easy planting and watering. Perfect for anyone who has difficulty stooping. Quick easy assembly - no tools required. Made from 1.5 inch thick kiln-dried cedar, protected by a non-toxic silica-based sealant. 2 wood choices available - price based. 2 sizes available: 24" x 72" x 22" & 36" x 108" x 22"